What color best defines you? ... wait and see if the situation worsens. If it does, step in and defend the one dearest to you. ... jump in! I'm always ready for an argument! ... take the side of the accusing family member. They're right, everyone should have a plan. ... leave them alone, they'll find a happy medium eventually. ... handle situations and projects alone. I hate compromise. ... surround yourself with one or two people. A little company is alright, I guess. ... work in large groups. The more, the merrier! ... STRATEGY! STRATEGY! STRATEGY! Figure out the easiest, most convenient route, and always travel in numbers. ... consider every worst case scenario, then figure out how to avoid them. ... make a decision based on what's best for the group. ... travel alone. More people will only hold you back. You are capable of making quick and necessary decisions. You find it very easy to read people. You have an incredible sense of direction. You are not afraid to step into a fight, even if you're the one provoking it! You not only find it important, but necessary to travel in packs. You obtain a unique devotion to your friends and family, and only YOU are aloud to mess with them. You have a short temper, but you always know how to find a quick and ruthless revenge. Your confidence level exceeds your ability to react. You think you have it all figured out, but sometimes you tend to overlook the minuet details. You're very strong-minded and strong-willed. You have no doubt in your mind that you won't win in a fight. Be careful though! This type of personality could be dangerous! You like to surround yourself in calm atmospheres. You don't mind sitting back and watching your handiwork unfold. It's not that you're afraid of the occasional brawl, you just prefer not to. You're a quick thinker, and you always seem to accurately predict others decisions. You are the epitome of "genius"! A protector. You often attempt to avoid conflict with others, and only engage if it's' absolutely necessary. You're friends and family are important, and you would do anything to keep them safe. You maintain a very "Zen-like" nature. Peaceful at heart. You tend to put others first; however, sometimes you just need time to yourself. A gentle giant. You find yourself well in tune with the elements, and you always test your surroundings before approaching new grounds. A genuinely optimistic mind. Your calming nature allows you to enjoy the little things. Family is important to you. You have a kind heart, but you are not afraid of standing your ground when necessary. You have a slight temper, especially when someone or something that belongs to you is invaded by another party. The hot-tempered mind. You are constantly looking for a fight. You may seemingly find yourself in constant disagreements with those of a T-Rex personality. You are confident in your skills, but like the infamous Rex, you may overlook the details. You are the first to make a decision, but most times it's not for the betterment of the group. In fact you are a slightly self-centered type of person. 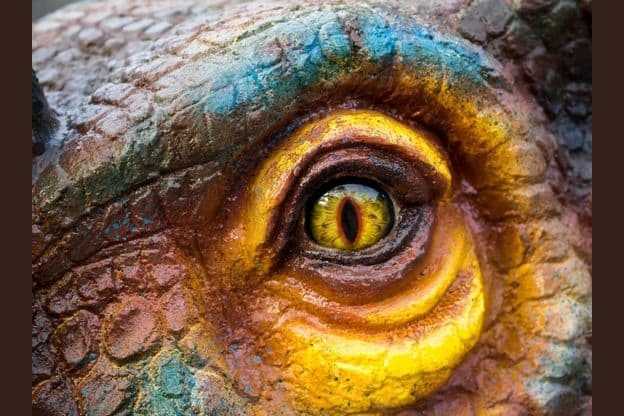 Find out which dinosaur fits your personality!